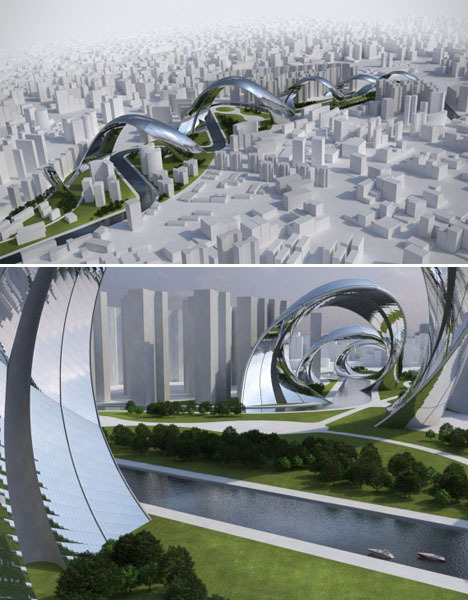 An undulating silver spiral meanders along the river valley of Shanghai, rising to accommodate the height of skyscrapers and then lower to the ground to offer views of the city from every angle. 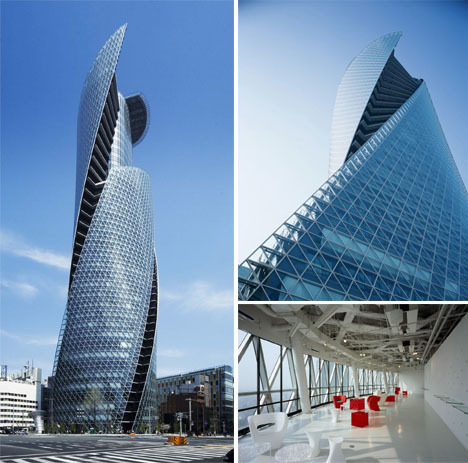 The ‘Sity’ project by Sonik Module rethinks architectural forms with an unexpected shape that’s earthquake resistant with maximum sunlight exposure, natural ventilation and its own means of renewable energy production. It’s not uncommon to see shapes like this in the concept stage, but they rarely make it to reality. 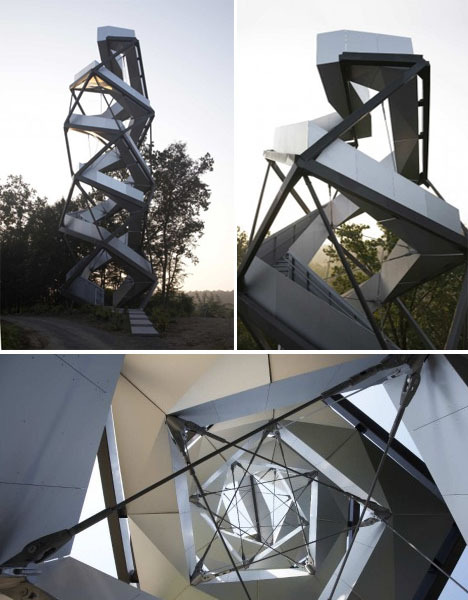 This observation tower on the River Mur in Austria by Munich-based firm terrain:loenhart&mayr is part functional structure, part sculpture based on the shape of a double helix. A circular path ascends to the top, passing through various levels of the forest. 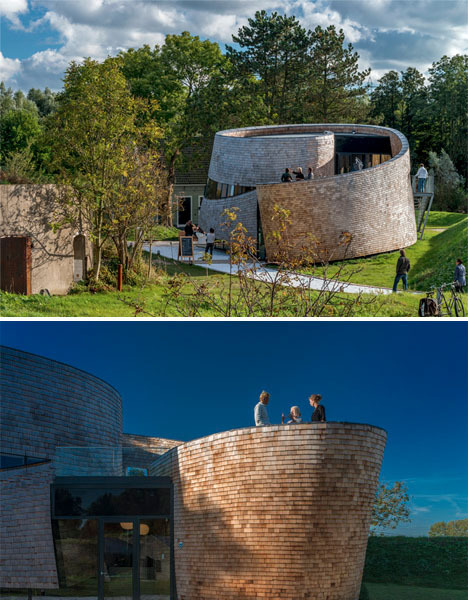 The architects were inspired by a historical double spiral staircase in Austria’s Graz Castle, built around 1500.